Originally published: New York: Alfred A. Knopf. A compelling and beautiful story about a girl who learns to live, from a boy who wants to die. 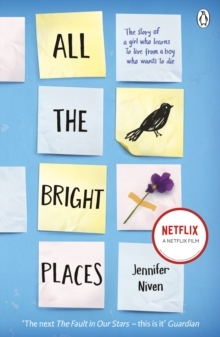 'If you're looking for the next The Fault in Our Stars, this is it' - The Guardian The New York Times bestseller is soon to be a major film starring Elle Fanning_________Theodore Finch is fascinated by death. He's constantly thinking of ways he could kill himself. But each time, something good, no matter how small, stops him. Violet Markey is waiting for the future. She's counting down the days until she graduates, escapes her Indiana town and her aching grief for her sister's recent death. But as Violet's world grows, Finch's begins to shrink.